Navigate to the Asset (Asset Detail page) to Edit. The Edit Asset Modal pop-up will appear. .
Scroll down to the Brands field, select a brand (or multiple brands) from the Brands dropdown (be careful not to click outside the Modal popup which will close the modal and lose your edits). Scroll to the bottom and click the [Save Changes] button. Note: You will lose any edits if you click outside the modal window before clicking [Save Changes]. 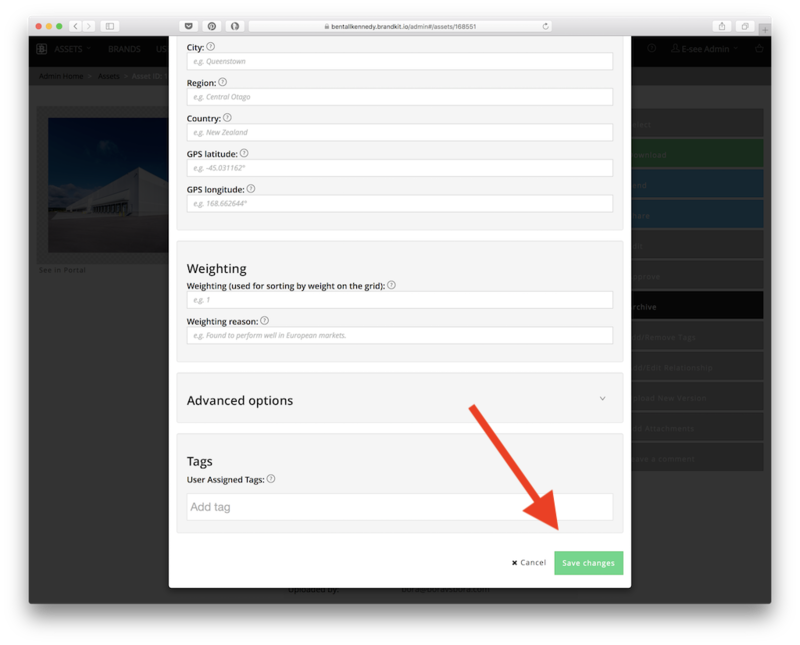 You can also Add/Remove and Create new Tags separately with the [Add/Remove Tags] button. Note that all uploads are UNAPPROVED by default. 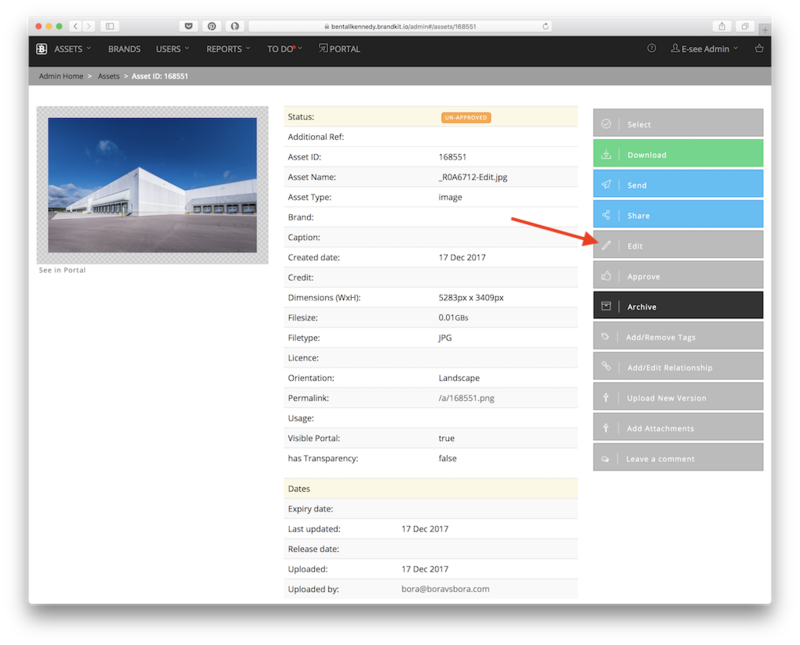 Once you have edited and tagged your Asset, you must APPROVE the Asset if you wish it to appear in the web portal for end users. It's also possible to edit a batch of assets at once, using the [Edit Selected] button in the Basket sidebar. Select the Assets you wish to batch edit (to add them to your Basket). Select the fields that you wish to Batch edit, in the case the Brand field - note any values entered in the Batch Edit form will override the values in ALL the selected Assets - so use with care (there is no undo). There are more advanced batch editing features available for advanced users.